Do You Have The Best Team In Place? It’s more important now than ever before that you have the right team executing on your strategy. Many of the most accomplished companies believe their success is owed largely to their ability to track and retain the right talent. So, in addition to tracking more traditional HR measures—like those centered around compensation—companies must look at culture and performance KPIs as well. To give you a boost up with this, we’ve compiled a list of human resource KPIs and scorecard measures that you use to get you on the right track. 48 important HR KPIs, organized in four specific categories. 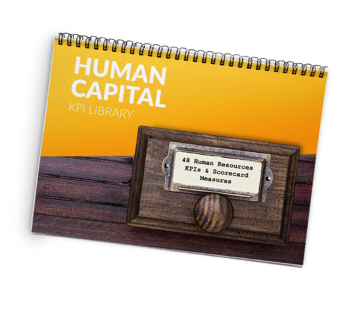 Download this extensive human resources KPI list today.